Do you want to know which of your email marketing campaigns are generating the most eCommerce sales? Using a trackable URL in your emails is an easy way to find out which emails bring in more sales. In this guide, we’ll show you how to find your most profitable email marketing campaigns in Google Analytics. 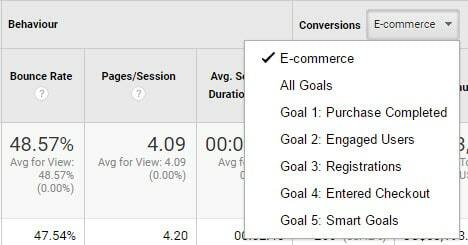 Google Analytics allows you to track how profitable your email marketing campaigns are. To track the performance of your emails, all you need to do is to generate your promotional URLs with a special code called a UTM code. 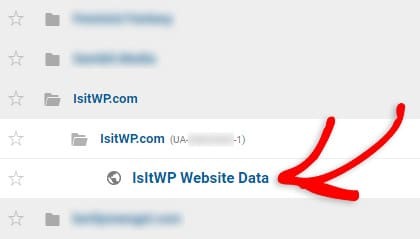 You can easily do this from your WordPress dashboard using the MonsterInsights URL builder. You can then use those URLs in your email newsletter to link to your merchandise on your site. Once you discover how your emails are performing, you can figure out which types of emails are the most effective by analyzing subject lines, format, copy, segmentation, and more. We’ll walk you through how to set up email campaign tracking with Google Analytics, step by step. 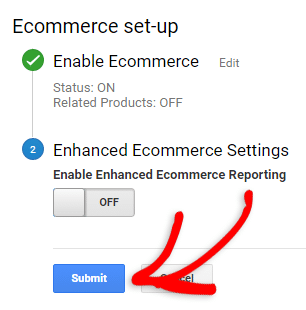 Then, you’ll need to enable eCommerce tracking in your Google Analytics account. 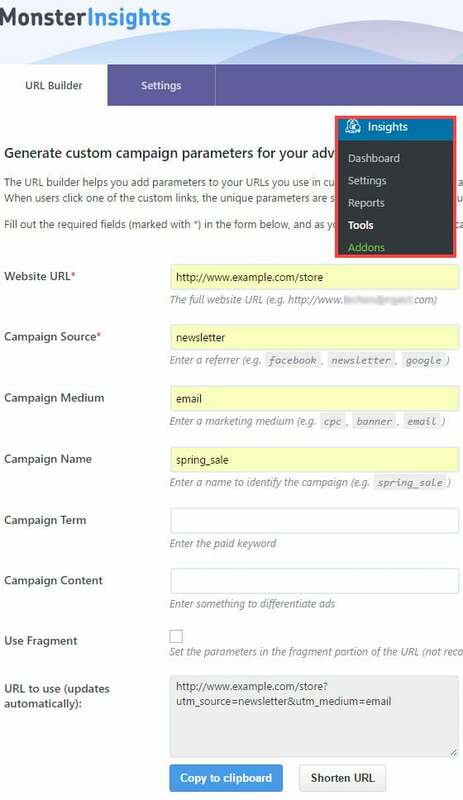 Using the MonsterInsights URL builder, you can add a small code snippet to the URL of your sales page called a UTM code. UTM codes help you to track information about the source, medium and campaign whenever anyone clicks on those links. To build a custom URL with a UTM code, visit Insights » Tools. This tool makes it easy to build your URL’s with all the relevant information. You just need to enter the URL you want to track, along with its parameters. Campaign Source (utm_source): It is used to describe the traffic source in which the link will be placed. 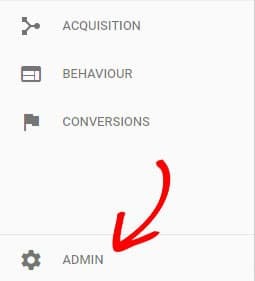 You can specify the newsletter name for utm_source. Campaign Medium (utm_medium): It is used to describe the marketing activity. For example, you can specify email as your utm_medium. Campaign Name (utm_campgain): If you’re sending a promotional email series, you can specify it here like summer campaign, product launch etc. After specifying the required details, you can copy the URL and insert it into your email campaigns. 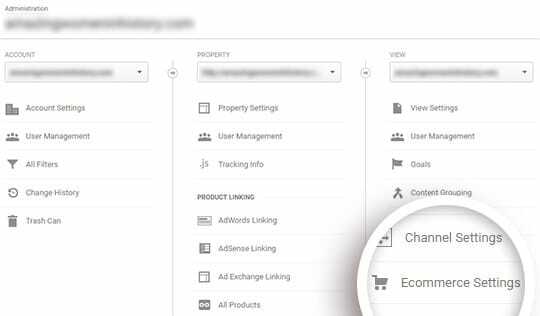 In order to view which email marketing campaigns lead to the most eCommerce sales, select E-commerce from the dropdown menu, which you can see in the Conversions column. 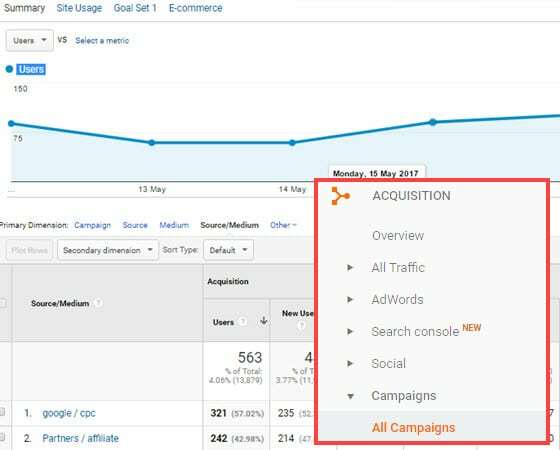 We hope this guide helped you to learn more about tracking email marketing campaigns in Google Analytics.